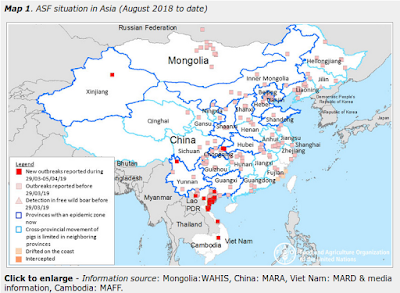 Mass gatherings like the Hajj, Chunyun (Chinese New Years-Spring Festival), Ramadan, Carnival in Rio, Mardi Gras, the Super Bowl, and the Olympics bring together large, geographically diverse groups of people, and put them into relatively confined spaces where accidents, infectious disease outbreaks, and other incidents can create unique public health challenges. Although the Hajj and the Summer Olympics begin later this summer, the start of the holy month of Ramadan is less than 30 days away - and while not as well attended as the Hajj - more than 1.5 million religious visitors are expected to visit the Saudi Holy Cities of Mecca and Medina in order to perform Umrah during Ramadan. Not only must public services health handle routine emergencies - like food poisonings, heart attacks, auto accidents, heat strokes, colds, flu, and other respiratory infections - they must be prepared to handle large scale emergencies as well. Just last year we saw a Stampede at the Hajj which may have killed more than 2,000 people (at least, according to media reports). Other types of large accidents are also possible, as in 1997 when cooking stoves set tents on fire, killing 343 pilgrims and injuring more than 1,500 (cite). And there are always concerns over terrorism or other man-made incidents. This year Ramadan will start in early June, while the Hajj starts in early September (under the Islamic lunar calendar, events begin 12-13 days earlier each year), putting both religious events into the hottest months of the year, increasing the risks of heat related injuries. The most likely infectious disease outbreak scenarios involve mosquito borne illnesses (like Dengue & Chikungunya, and now Zika), tuberculosis, mumps, measles, chickenpox, norovirus and respiratory viruses like seasonal influenza & Rhinovirus. But it isn't lost on public health officials that the Middle East is also home to MERS-CoV, and that religious tourists will be traveling there from all over the globe, fully capable of bringing an array of exotic diseases with them, including avian flu. The long incubation period (up to 14 days) and often subtle early symptoms (or asymptomatic carriage) of MERS makes early detection difficult. Making this task even more challenging are the large number of non-MERS respiratory infections religious pilgrims tend to pick up on these trips.
. . . that performing the Hajj pilgrimage is associated with an increased occurrence of respiratory symptoms in most pilgrims; 8 of 10 pilgrims showed nasal or throat acquisition of respiratory pathogens. Another study we looked at in 2012 – before MERS emerged - in Clinical Infectious Diseases (co-authored by former Saudi Deputy Minister of Health, Ziad Memish) called - Unmasking Masks in Makkah: Preventing Influenza at Hajj – found:. This heightened level of `viral noise’ among travelers returning from the Middle East makes it extremely challenging to identify and isolate those infected with MERS, Avian flu, or other highly virulent viruses (see MERS: The Limitations Of Airport Screening). 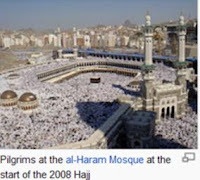 All of which brings us to a new study, (also co-authored by Ziad Memish) published last month in the Annals of the American Thoracic Society, that warns of the threat of respiratory virus outbreaks at the Hajj, and other large gatherings, and how they might spread globally. The mass gathering of people is a potential source for developing, propagating, and disseminating infectious diseases on a global scale. Of the illnesses associated with mass gatherings, respiratory tract infections are the most common, the most easily transmitted, and the most likely to be spread widely beyond the site of the meeting by attendees returning home. Many factors contribute to the spread of these infections during mass gatherings including crowding, the health of the attendees, and the type and location of meetings. The annual Hajj in the Kingdom of Saudi Arabia is the largest recurring single mass gathering in the world. Every year more than 10 million pilgrims attend the annual Hajj and Umrah. Attendees assemble in confined areas for several days. People with a wide range of age, health, susceptibility to illness, and hygiene sophistication come in close contact, creating an enormous public health challenge. Controlling respiratory infections at the Hajj requires surveillance, rapid diagnostic testing, and containment strategies. 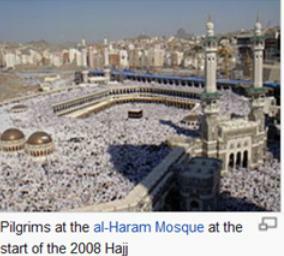 Although the Hajj is without equal, other mass gatherings can generate similar hazards. The geographic co-localization of the Zika virus epidemic and the 2016 Summer Olympic Games in Brazil is a current example of great concern. The potential of international mass gatherings for local and global calamity calls for greater global attention and research. Admittedly we see cautionary articles every year in advance of the Hajj, Chinese New Years, and other mass gathering events, and so far the `worst-case scenarios' have yet to occur. Nevertheless, the number of large disease outbreaks (think: MERS in South Korea, Zika in Brazil, Chikungunya in Latin America) linked to international travel has grown dramatically in recent years. And mass gathering events, like the Hajj, Ramadan, and the Olympics would appear to provide pathogens with unique opportunities to spread on a global scale.